With the prices of ground beef on the rise, it's crucial to make a little go a long way. 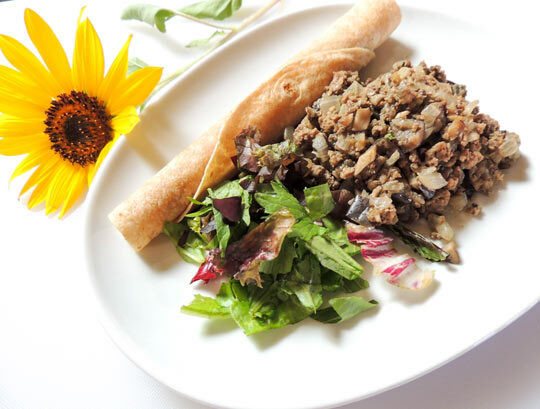 Prepare this healthy mixture of ground beef and hearty vegetables to reduce your demand for hamburger and increase the nutritional content of your meal without sacrificing flavor or fill. Below, you'll find a recipe using eggplant and onion to add bulk to your burger. In a large, deep skillet, heat cooking oil. Add onion and sauté until the onions begin to sweat and turn barely translucent. Add garlic, and sauté until fragrant, about 30 seconds. 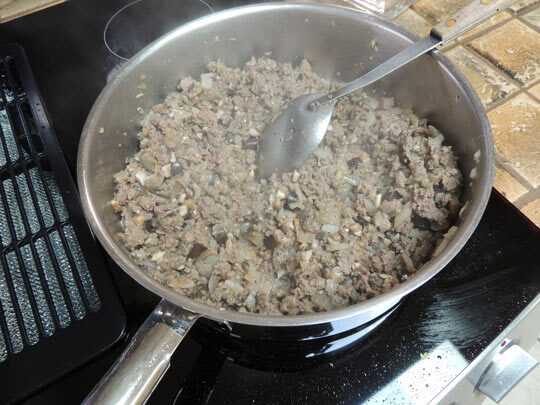 Add ground beef to pan. Cook until beef is no longer pink, stirring frequently. Add eggplant and sauté everything until the eggplant has softened. Season the meat to your liking with salt and pepper. Use the mixture as a replacement for regular beef in spaghetti sauce or other recipes, or serve with tortillas and your favorite wrap fillings for an easy, healthy lunch.